The District has selected developer Redbrick LMD to remake a portion of the St. Elizabeths East campus into a town square destination with retail, housing and a stand-alone hotel. WASHINGTON — The District has selected developer Redbrick LMD to remake a portion of the St. Elizabeths East campus into a town square destination with retail, housing and a stand-alone hotel. 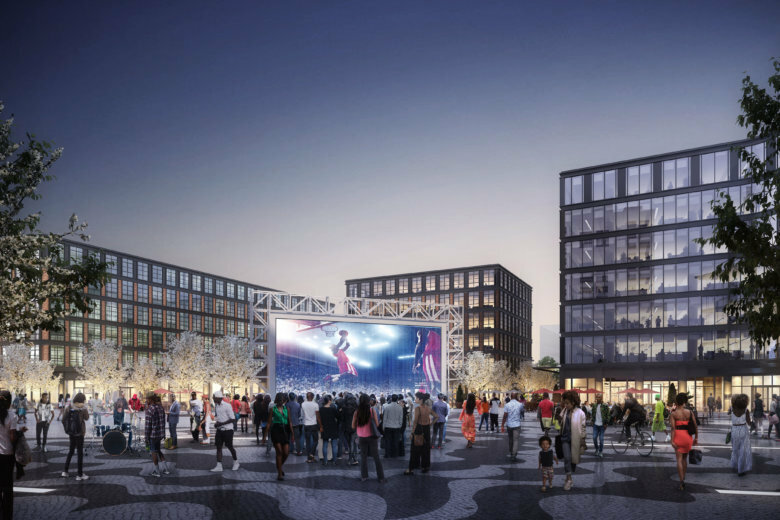 The addition, at what is called Parcel 15 on Martin Luther King Drive in Southeast D.C. will be next to the new Entertainment and Sports Arena that opened last fall, and adjacent to the Congress Heights Metro. The Redbrick team’s plan calls for a mixed-use town square with two residential buildings, an office building, hotel, ground floor retail, a pedestrian promenade and central plaza. The residential buildings would include 228 units, almost half of which would be affordable housing. The hotel would be the first full-service hotel east of the Anacostia River with 125 rooms. The entire town square project would total 567,000 square feet of development when complete. “When we cut the ribbon (at) the new Entertainment and Sports Arena last year, I said that it was just the beginning of the exciting transformation of Congress Heights,” said Mayor Muriel Bowser. Retail will total at least 35,000 square feet, but developers plan pop-up retail on parking lots during the construction phase.